Silversea’s new launch takes luxury to new heights – and there’s a personal butler for every guest, as Louise Robinson reports. There was a gentle tap at the door, of the sort that can only be made by a white-gloved knuckle, and our butler floated in with a silver salver. Rather than cocktails (though we only had to ask), this conveyed a selection of the finest designer lotions and potions. I opted for Bulgari, which happens to be my favourite, while my husband decided to sample the lot. That was not the only tough decision we had to make aboard Silver Muse. On first entering our stateroom, we also found a pillow menu, listing eight different options upon which to lay our heads. 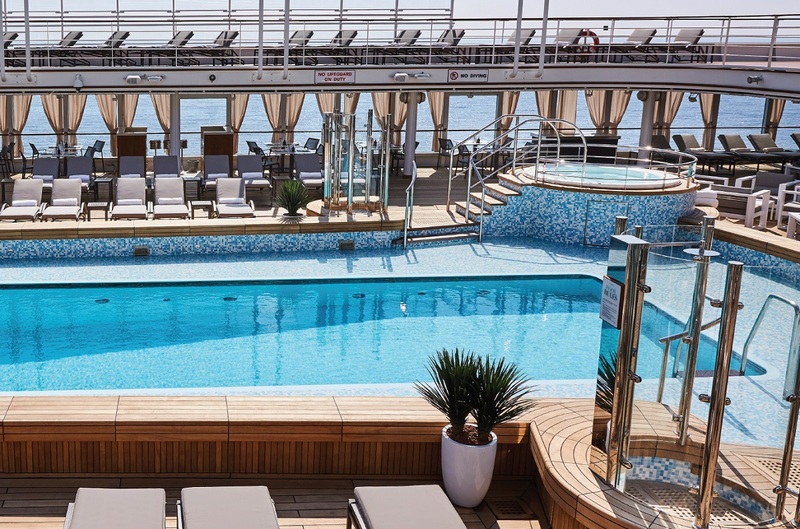 Touches like this are typical of cruising with Silversea – because while other lines go ever bigger, this one just tries to do it better. The 40,700-ton Silver Muse, launched in April this year, is the ninth addition to the fleet (five offering conventional itineraries and four providing luxury expedition cruises). Accommodating fewer than 600 guests in just under 300 suites, she is no ordinary ship, but then Silversea is no ordinary cruise line. Established in 1994 by the Lefebvre family of Rome – who thereby invented all-inclusive luxury cruising – it remains in their ownership to this day. Chairman Manfredi Lefebvre d’Ovidio is the son of the founder, and an old army chum of the CEO, who in turn is married to the marketing director. Working for a family firm makes all the difference to the staff, many of whom have been with Silversea for years (and from talking to a number of them, it’s clear that Muse was a plum assignment). It makes a lot of difference to the ship, too. Silversea’s vessels are not designed by committee; they’re designed by people. And not just people but Italian people, who combine their innate sense of style with a love of cruising at its very best. 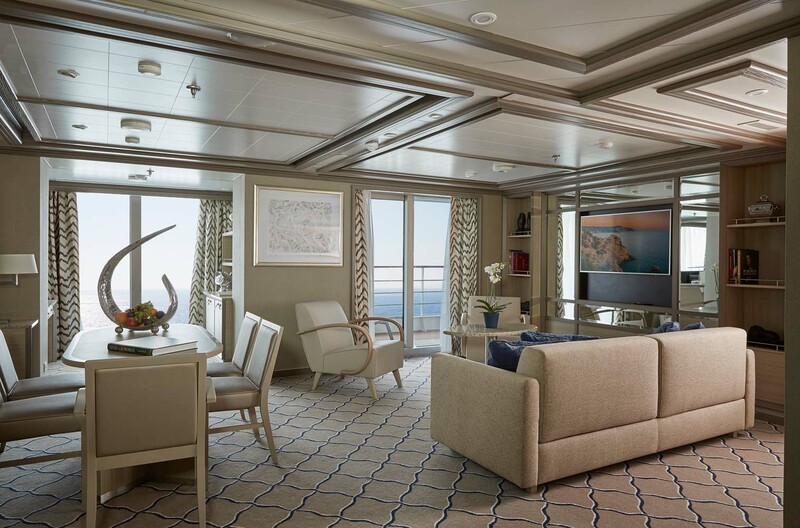 If there’s one guiding principle behind all Silversea’s ships, it’s that space equals luxury. And how true that is. Carrying so few passengers on a vessel of this size means that all the public spaces – bars, restaurants and pool deck – are calm and relaxed. Nowhere is crowded, and everywhere feels like somewhere you can happily relax and watch the world go by. Passenger accommodation is equally generous – and not just in the splendid Owner’s Suite – with beautiful marble bathrooms and private teak balconies, and every room has butler service (while that might seem an outrageous luxury on land, trust me – it’s amazing how quickly you get used to it). 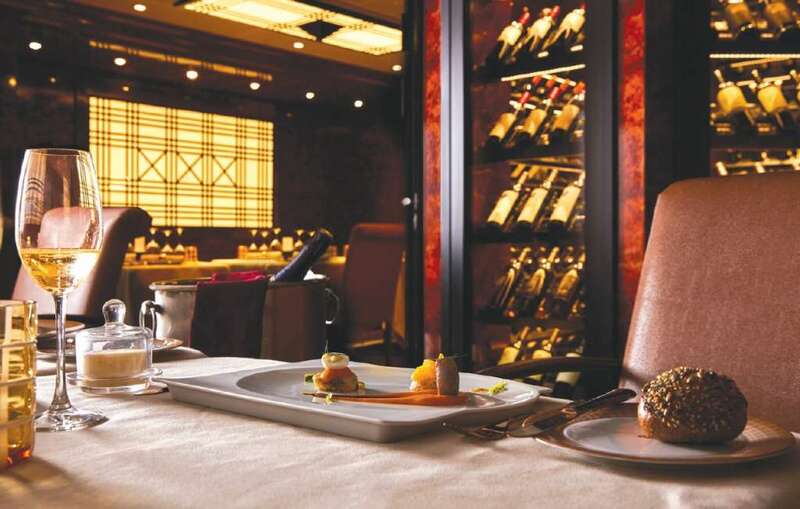 As for dining options, there are no fewer than eight – or nine if you include room service – so on a seven-night cruise you may not even sample them all. It’s difficult to choose a highlight, but make sure you dine at La Dame, do try the seafood at the Atlantide, and don’t miss the Asian cuisine at Indochine. If you want something more relaxed, then La Terrazza or Hot Rocks might be the venue for you. The culinary director, by the way, is a Belgian genius called Rudi Scholdis, and how he came to be here is a typical Silversea story. Instead of some tedious corporate recruitment process, Manfredi dined at the Dorchester, asked to meet the chef, and hired him on the spot. That was 19 years ago. When the time comes for your post-lunch siesta, the pool area is an enticing blend of understated furnishings, natural finishes and plump cushions. There is a short running track above the pool, but I found the deck bars a more enticing attraction. Here again, the sense of space is key. Instead of the crush you often find on cruise ships, Muse offers plenty of seating and plenty of room, so everyone is relaxed and the conversation flows. Silversea does the simple things superbly, but it has also moved with the times, and Silver Muse is clearly a product of the digital age. Waiters use iPads to take your order, and the flat screen in each cabin is actually a mirror (or the mirror is a screen, if you prefer). That means it can be truly huge, doing ample justice to a menu of films, TV shows and online services that would grace a first-class airline seat (and offering a floor-to-ceiling view if you just want to admire your tan). Without any doubt it is the classiest TV at sea. If you prefer your entertainment live, Muse’s cabaret performers are top-notch, though if you’re used to megaships, the stage will strike you as small. There is also the beautiful Zàgara spa, complete with a “mood room”, where you choose your own music, lighting and video as well as your treatment oils. And for those in search of a more energetic mood boost, there is very well-equipped gym. 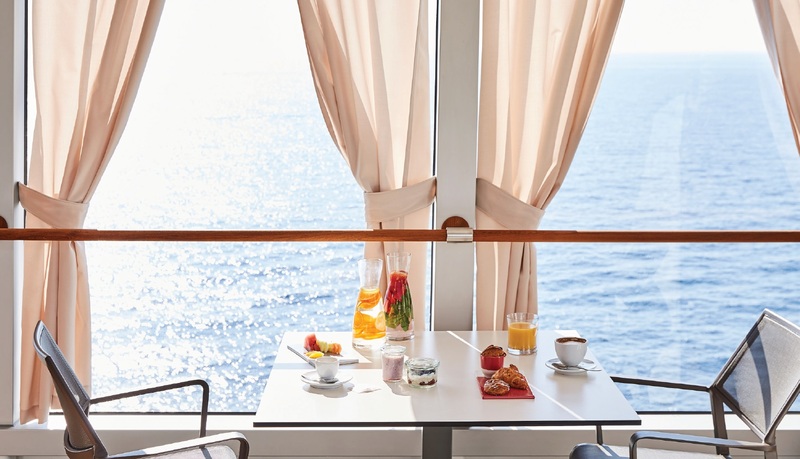 Children are welcome on Silver Muse and have their own room and dedicated deck space – a first for Silversea, and a reflection of the rising popularity of multi-generational cruising. In fact, there is something for everyone – even those who like to keep it real by doing their own ironing (there is a small laundry room on every deck and, as my husband pointed out, it’s only good manners to give one’s butler a break from time to time). By now you’ll have guessed that Muse completely won our hearts. And you’d be correct. Granted, there’s a premium to pay for the additional space and the world-class food and service, but remember that she is all-inclusive, right up to champagne, and all cabins are suites with butler service. This year she will visit 34 countries and more than 130 ports, so there are plenty of opportunities to enjoy what she has to offer. And believe me, you’ll think it’s cheap at the price. Silver Muse departs from Rome for a seven-day voyage on 29 May 2018, calling at Sorrento, Taormina, Katakolon, Sarande, Dubrovnik, Split and Venice. Fares from £3,900 based on double occupancy of a Classic Veranda Suite. All meals, butler service, drinks, gratuities and WiFi are included. See silversea.com or call 0844 251 0837.